This is your opportunity to review your benefits and make any changes to your benefits. Retirees are urged to make any changes during the annual enrollment period, however they continue to have "Anytime Enrollment". When a retiree makes a change outside of the Annual Enrollment period, the change is effective the first of the month following a 30 day period. So, under "Anytime Enrollment" a retiree could make a change up through November 30, 2016 to be effective January 1, 2017. 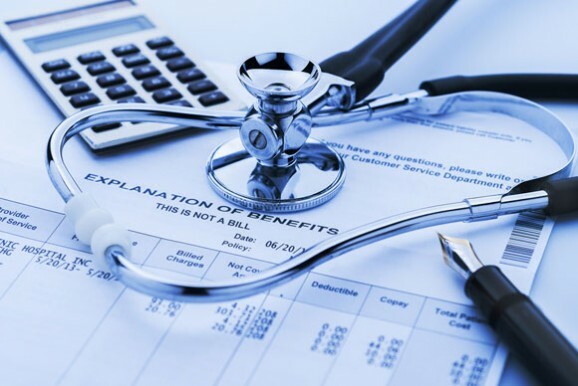 Medicare Eligible retirees in the MEP HCP, HCN or HIP Health Plan of New York Medicare medical plan options will be automatically enrolled into the corresponding MEP or HCP or HCN Advantage Plan option. The HIP Health Plan will be eliminated in January 2017 and those Medicare eligible retirees will be automatically enrolled in the MEP Advantage Plan option, so if they prefer the HCN they have to enroll in it. All other 2016 Elections and designations automatically carry over into 2017 Annual Enrollment, Members who want to stay with their plan without any changes don't need to do anything. If you have a Qualified Life Event between now and the end of the year, you will need to make changes on BenefitsConnections for both 2016 and 2017. Examples of a Qualified Status Change are adding a spouse if you get married, adding a child when there is a birth of a new baby etc. Annual Enrollment Guides will be sent to employees and retirees toward the end of October. Any member who previously completed a Health Assessment will receive the $100 Health Assessment credit in 2017. There is no need to complete a new assessment, if you are currently receiving the credit. If you are not currently receiving the Health Assessment credit, complete the Health Assessment before January 1, 2017 to receive $100 credit toward your annual medical plan contributions for 2017. If you are a non tobacco user and are already receiving credit, no further action is needed. If you are not receiving this credit and DO NOT use tobacco products, indicate your NON-TOBACCO status on BenefitsConnection to receive your $600 credit towards your annual medical contributions. If you and your covered dependents DO USE tobacco products but have completed a tobacco cessation course within the last six months indicate your status on BenefitsConnections during Open Enrollment for the full credit. During Annual Enrollment, log on to BenefitsConnection and answer the Tobacco User Status question while completing your Annual Enrollment elections: - answer YES and intend to complete a tobacco cessation course before July 31, 2017. Before July 31, 2017, complete a tobacco cessation course such as QuitNet or the Verizon HealthZone Health Assistant, and log on to BenefitsConnection. Answer the Tobacco User Status question: YES and completed a tobacco cessation course within the last 6 months. You MUST update your Tobacco User Status response by July 31, 2017 in order to receive the full Non-Tobacco credit. Any update made to your tobacco user status after July 31, 2017 will result in a prorated credit for the remainder of the year. In the 2017 plan year, the cost of coverage for two (2) of the Pre-Medicare plan (MEP and UHC Passport/ Harvard Pilgrim) options will exceed the applicable retiree caps and will require contributions. Your current elections will automatically continue unless you make a change. Pre-Medicare Retirees should carefully review the open enrollment materials and elect the plan that is best for you. The billing process will remain unchanged from the process that is in place today for those who are already making contributions. Anyone that is enrolled in a benefit that requires contributions will receive a bill. Bills are mailed by the 15th of each month with a due date of the first of the following month. For example, the bill for the contributions for January 2017 will be mailed/posted to the web by December 15, 2016 with a due date of January 1, 2017. Because ACH direct debit is the fastest and easiest way for a retiree to pay for coverage, it is highlighted on each monthly invoice that is mailed home to encourage enrollment. The retiree can enroll in this option on the secure BenefitsConnection website by providing his/her routing and checking account number. The balance due would be debited out of their account on the first business day of the month. For example, January's balance would be debited on 1/3/2017. A retiree who is receiving a monthly pension also has the option to have his/her deductions taken from their pension check. A retiree would have to call the Benefit Center and speak with a representative to enroll in this option. The Affordable Care Act requires proof of healthcare coverage at tax time. As a result, tax forms (1095s) that show your health care coverage for the prior year will be sent out to active employees and pre Medicare retirees in the beginning of the year. Save this form to file with your taxes. Annual enrollment offers you the opportunity to make changes to your current life insurance coverage amounts and/or waive coverage. The rates for coverage are base on age ranges. As you and your spouse fall into a new age band your costs could increase. If you choose to continue your coverage, no further action is required. Similar to last year, confirmation statements will not be distributed to employees and retirees. Confirmation statements can be printed out on the Benefits Connection website or one can be requested by calling the Benefits Center. Child life Insurance- will be available for a dependent child up to age 26, regardless of student status. Under the ACA, additional updates have been made to the preventative care benefits that must be offered without cost sharing. Transgender coverage will be provided when "medically necessary". Women's Health Care Right Act requires the plan to cover all stages of reconstruction on the breast where a mastectomy was performed. Certain therapies for the treatment of Autism Spectrum Disorder (ASD) will be covered by under the MEP, HCN and EPO plans (HMO participants can check coverage with their HMO's). This benefit will be retroactive to 1-1-16. Claims that were submitted in 2016 will be re-processed. For members who inquired about this benefit in 2016, Verizon will reach out to them to submit their claims. Below are the enrollment guides and summaries.